A few weekends back, I was sent on an Officers course with the New Zealand Fire Service. With the course being over a full weekend and also being 100km away in Christchurch, it necessitated that I stay in a motel. 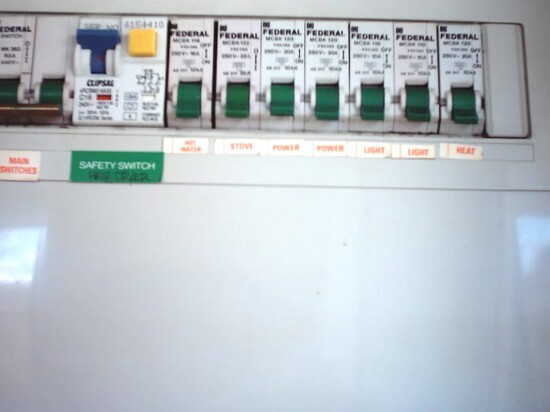 Before leaving on the Sunday evening, I thought I'd grab a few pics of the electrical stuff in the unit, for your perusal. 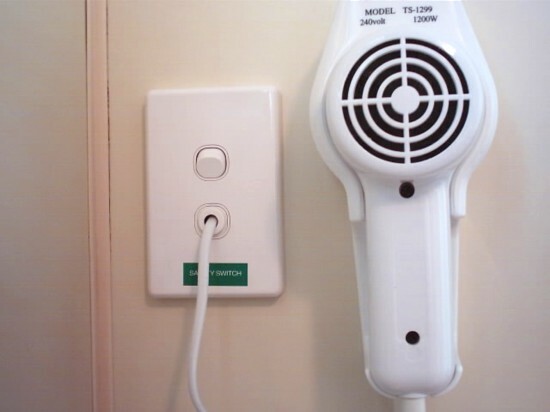 First off, we have a shot of the switch-board in the unit, there is only the one RCD (GFCI) and that protects the hair-dryer in the Bathroom. Here's the Mirror light, this one didn't actually work, this is an incandescent fitting and by the looks of things, the bulb has seen better days. 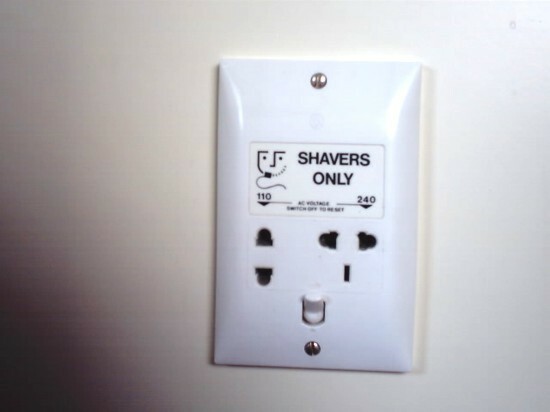 The obligatory International shaver socket, these are usually supplied from a nearby lighting circuit here. 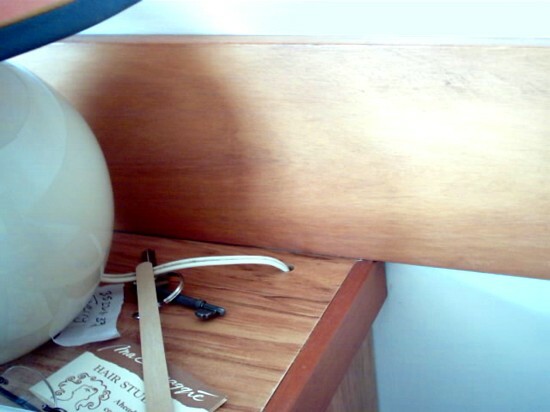 Here's a picture of how the bedside lamp and alarm clock were connected, but see in the pictures, how the wires are run through the bedside unit. By the way, I only noticed that emery board and the hair salon card on the bedside table when I went to edit these pictures, I have no idea how they got there, the key is mine though. 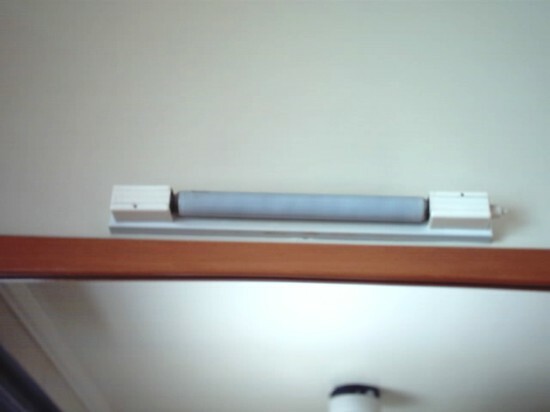 Here is the Permanent connection unit that supplies an IR heater over the window to the left. Sorry but the pic of the actual heater never came out to well. Ok that's all I think!. -The flex cable connections on the bottom pictures. Very unusual here. Shall this protect from stealing desk lamps etc? -Breakers with the "on" position downwards! Never seen that in europe. That seems like a lot of circuits for one motel room! Especially considering everything is at 240 volts. The electrical aside I think your room key is most intriguing. Looks like a skeleton key from what I can see and they went out here in the states around what, 1900? In fact most hotels here now issue a programmed card as the room key. That seems typical. 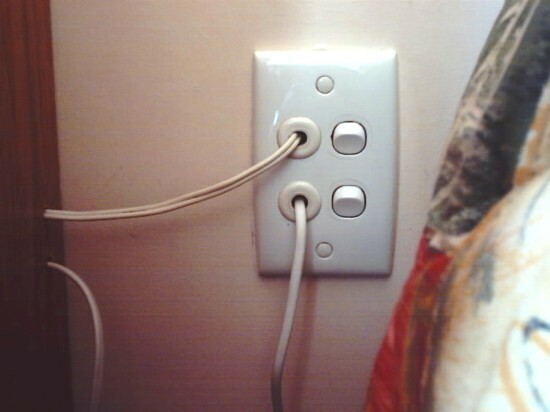 At least your outlets were in reach. At the hotels my old job could afford, I usually had to move the bed to plug in my laptop. 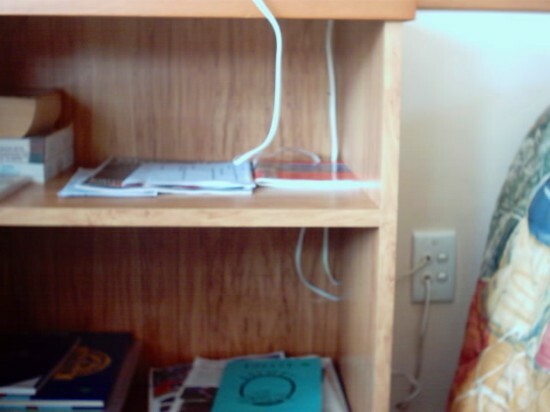 I don't have that problem with this job; the hotel rooms have outlets mounted above the desk surface. Anyway, the cords for the clock radio and bedside lamp always seemed to just barely reach. I double-checked. 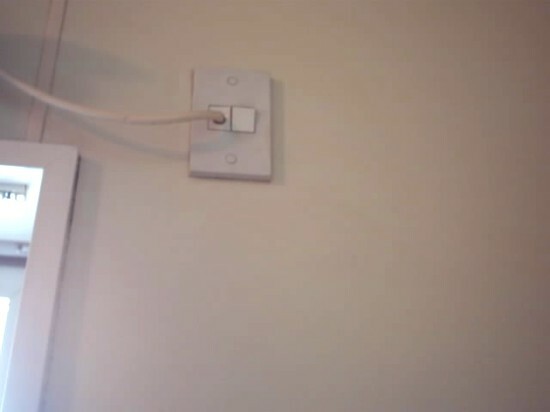 What outlets, everything in your room was hard wired! Where do you plug in the hot plate? Is that "Federal" company connected with our beloved "Federal" in the States? OK, discounting the emery board and card, did you have to drag a trailer behind your car to carry all of your reading material?? That's not his room key.... that's for his truck. Mike's PROBABLY gonna have to update one day soon. , but you know how them Kiwi's are. Cuz it's on a 20VA isolation transformer.